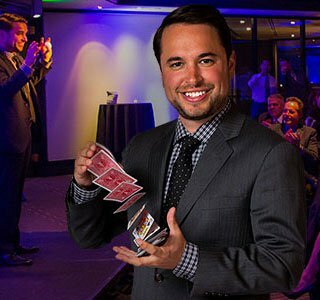 Nate Jester is an award-winning Seattle based Magician specializing in MAGIC, MIND READING and COMEDY. He entertains crowds of all sizes and has performed his astounding illusions in China, Ukraine, Hungary, Las Vegas, and throughout the United States. You may have seen him on America's Got Talent, Bravo, and Oprah's The Life You Want Tour. Check out Nate's MIND-BLOWING ROVING & STAGE MAGIC SHOWS perfect for private and corporate events. He's available for hire local and abroad.